So, how do you fax a PDF? There are several ways, actually. A couple of them, using email fax services for one, doesn’t even require a fax machine. Online faxing services are especially convenient because they eliminate the need for additional papers completely. In this article, we’ll cover the most convenient ways of faxing a PDF. FaxBurner is a reliable service that aims to improve and modernize the whole fax experience. 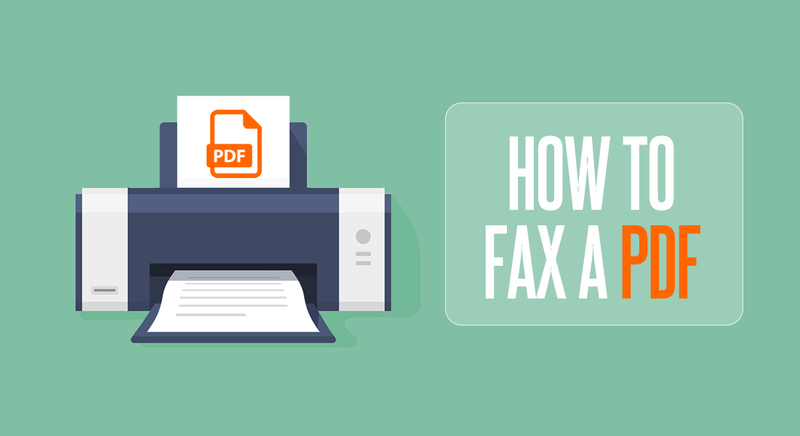 Here is how you can fax a PDF using FaxBurner. The best thing about FaxBurner is that you can sign up using any of your devices. FaxBurner is available on the iPhone, Android or from your computer. FaxBurner offers you a fax number instantly with the click of a button. With the free plan, you can request a free fax number that lasts up to 24 hours. With a premium account, you can keep your number forever. Finally, you can send or receive a fax in minutes. To send your PDF, simply open the app, enter the number you wish to fax to, and attach the PDF as an attachment. Alternatively, you can fax your PDF using email. Just use the email address you used to create your account, type the fax number in the subject line, the cover letter notes in the body of the email, and your PDF as the attachment. Boom. PDF faxed… no fax machine needed. You’ll receive a confirmation of the fax in your email. If you have a newer version of Windows (10, 8.1, 8, 7), you can take advantage of an awesome built-in fax software. Any version of Windows that’s newer than XP has a built-in fax software that can help you fax a PDF. All you need to do is type ‘Fax’ in the search bar and then find Windows Fax and Scan Utility. However, an important thing to mention is that you need to have an active landline phone connection. Faxing a PDF using your computer software is almost identical to sending an email. Windows Fax and Scan lets you fill in information for the cover pages and add fax numbers to the pages of your PDF document. As soon as you click the Send button, the software collects all the information needed for the other machine to receive the fax. There’s nothing wrong with going old-school and faxing off your PDF with a traditional fax machine. You’ll have to print it and fax from home, the office, or an office store that offers fax services. Of course, the longer the PDF, the more paper, ink, and time you’ll need to use to accomplish the task. Another downside is that you might get a bit of PDF degradation due to printing. This is because when you print and scan your document, you lose a bit of quality every time. Fortunately, this can be rectified by avoiding excessive scanning, especially if it’s a very important PDF document.